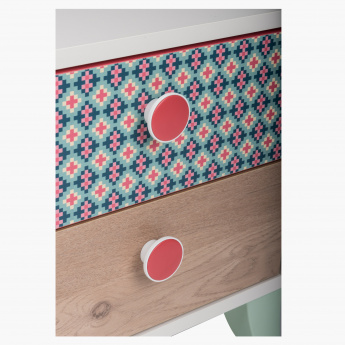 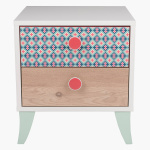 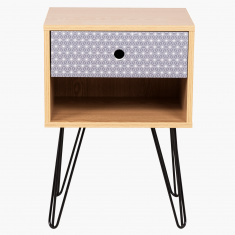 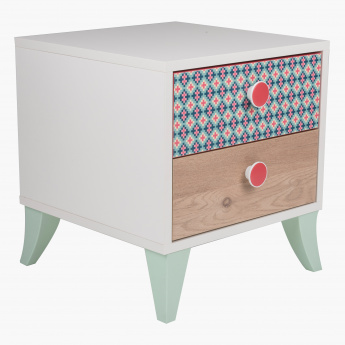 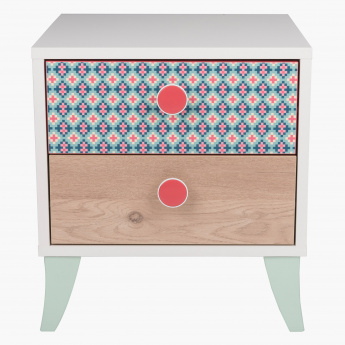 Add a fun factor to your kid's room with this night stand. 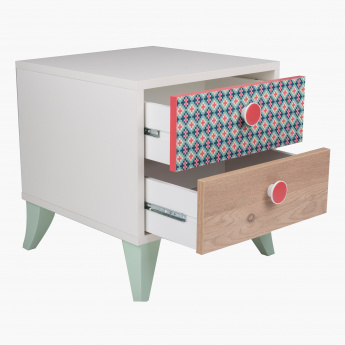 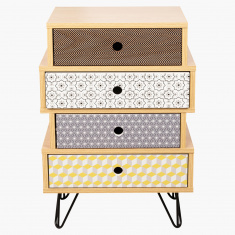 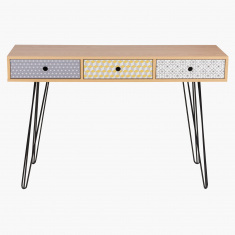 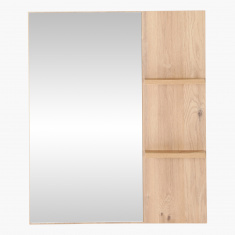 It comes with two drawers for storage and is elevated with four angular feet. 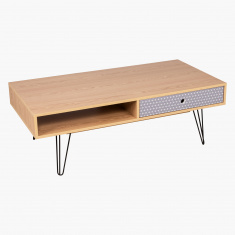 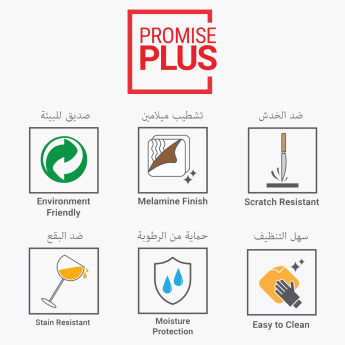 The finish is scratch, stain and water resistant.